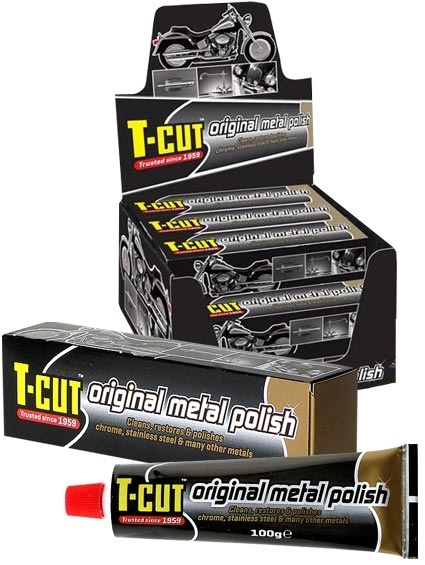 T-Cut Metal Polish will restore a brilliant shine and lustre to most metals including chrome, brass, stainless steel, nickel, copper, aluminium and alloy. Will cut through surface corrosion and oxidisation, even if the metal hasn’t been cleaned for years! Suitable for automotive, motorcycles, marine, sports & leisure, domestic appliances and general home use.